In a reversal of prevailing trends more magazines posted gains in readership than posted declines in the December quarter, with overall readership of print titles up 1.7% year on year. Roy Morgan’s readership figures show 71 magazines posted increases while 59 decreased, with strong performances from women’s fashion, home and garden, food and entertainment, computer and gaming, and health and family categories. Women’s fashion experienced the strongest growth, up 10.9%, buoyed by increases from Morrison Media’s Frankie (+29.6%), Bauer’s Harper’s Bazaar (+9.3%) and Pacific Magazine’s Marie Claire (+8.6%). Computer and gaming titles grew by 7.6%, with gangbusting performances from Next Media’s Hyper, up 83.3%, and Citrus Media’s Game Informer, up 40.0%. Women’s lifestyle, women’s youth and mass women’s categories did not prove as resilient to changing consumer behaviour as their fashion counterpart, dropping 7.9%, 6.5% and 3.1% of readers respectively. While Bauer’s Women’s Weekly remained the most read title, with over two million readers per issue, it dropped 8.8% of readers over the current period. Men’s lifestyle titles staged somewhat of a comeback over the quarter, boosted by strong gains from NewLifeMedia’s GQ (+24.4%), Odysseus’ Men’s Fitness (+39.8%), Inside Sport (+20.0%) and Men’s Health (+7.7%). General men’s titles, Picture and People did not fare so well, taking 23.8% and 12.3% hits respectively. 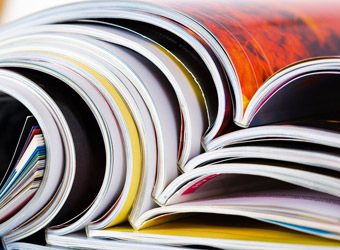 The readership spikes experienced by a number of key categories show magazines continue to engage readers in both print and digital formats, according to executive director of Magazine Publishers of Australia’s, Robin Parkes. Roy Morgan’s combined print and digital readership figures show magazines lag behind newspapers in converting their audiences to digital consumption. The majority of magazine titles have only a small portion of their overall audiences that consumer content via digital means, while most newspaper titles have moved towards 50% of their readers consuming via digital devices. The notable exceptions to this in the magazine space are Vogue, with 54% of its readership consuming content online only, Burke’s Backyard, with a 49% digital only share, and Cleo, with 37% of its audience digital only. Managing director of NewsLifeMedia, Nicole Sheffield, says digital is a focus as the publishers seeks to grow audiences by “delivering customers top quality, innovative and trusted content where ever they are spending their time”.